作者: Selim Han Yeniacun on 19 January , 2017. The Caspian Basin has a great importance to be a home not only offshore hydro-carbon and gas researches but also conflict and proxy-military/diplomacy clashes. Caspian Basin and also Turkestan region, which cover whole territories from Chinese border through the Uzbek steps, were under control of Russian Imperial goals and continued after the Bolshevik governance until the one decade before the second millennium. Today, whole Turkish geography possesses acceleration on market share on the Globe. They, also, are confronting some substantial crises could shake their governmental stability and state power, however. Turkic countries in Turkistan and Caspian Basin such as Kazakhstan, Uzbekistan, and Azerbaijan are the most vital parties could change the “great game” in Eurasia and international are. Their combined industrial growth and hydrocarbon selling supply them a peerless position in the world. They also have one significant common interest, called “partnership with Israel”. Thanks to the analysis of the recent period which evaluate the Central Asia has attracted attention to this point, however, It has started from the second half of the first decade of 2000’s. Despite the fact that Israel’s pursuit of foreign policy enhancement intended for non-Arab states was already known strategy in terms of David Ben-Gurion’s “periphery doctrine”, shared interest and threats emerged intensively in the beginning of the 21st century among the Israel, Azerbaijan, Uzbekistan, and Kazakhstan. If we put the Turkey in this equation, we will get “3+1+1” put cooperation forth. This cooperation cover trade of basic goods, energy supplying and security of the routes, military advancement trade and training and also political cooperation against the social or political interventions coming from other states. Israel has, already, strengthened her commercial and political ties with China. So with the strategic partnership with “ATUK” countries (Azerbaijan, Turkey, Uzbekistan and Kazakhstan) to ensure the prestigious corridor from Sea of China to Mediterranean Sea. Direct and in-direct trade lines, pipelines and cross-border social-cultural mobility are main ammunition of Israel against the un-stable political layer of Middle East and her eternal rival Iran. The Turkic States and Turkey’s unique position are important for Israel’s foreign policy and foreign investments. As, Israel-based multinational cooperation MERHAV Group of Companies’ VP Dr. Nimrod Novik said that “The primary interest is to prevent the development of Turkish strategic dependence on Iran, given the unique emerging strategic relationship between Turkey and Israel.” This description is important because of the symbolism of Israel’s ally-build systematic. Israel is a deserted island surrounded by the sea of Arab states and that see contains some wild fishes called Hezbollah, DAES, and other fundamentalist armed groups. That’s why Israel needs to establish trade and military bridges towards the countries which are almost same position in their territories. Azerbaijan is vis-à-vis in the same situation like Israel. 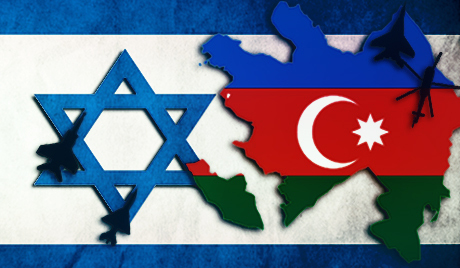 Israel- Azerbaijan relations mostly started to shape the current theory of “Turkic – Jewish Siege”, also. Azerbaijan currently supplies over a third of Israel’s oil supplies and yearly 2, 5 million tonnes barrels of oils. Azerbaijani oil and gas company SOCAR has gained the right of drilling in Israel’s Med Ashdod gas reserves since 2011. Azerbaijan’s position not restricted to the economic activities. The Republic of Azerbaijan and her predecessor states and khanates have well accepted the rights of Jews in their territories during the 2.000 years. These Jews mainly Sephardi origins came from the Babylonian exile. 19th century in Azerbaijan passed with the freedom of Jewish investments over the oil fields and freedom of living their culture in the Azerbaijan. First Jewish university opened in Azerbaijan in 1919. Ashkenazi Jew Dr. Yevsey Gindes was a minister of health in the first cabinet of Azerbaijan Democratic Republic (1918-1920) After the Second World War, the population of Jews in Azerbaijan descended for migrating to new established State of Israel. Numerous illustrations can be given the non-anti-Semitic tendencies over the territories of State of Azerbaijan where second large Shia population lived in. Furthermore this peaceful element courage and triggered the Israel established and strength the ties between herself and Azerbaijan after the independence. Economic and military relations between two states and Azerbaijan’s secular position, which looks like westward, draw the main conflict lines. Iran was tried to survive in the region by supporting Russian, Armenia and non-state actors that are both stressful and hazardous actions against Azerbaijan. – Preventing to right of using Azerbaijan’s strategic military bases by Israel and NATO forces. – Forestalling to the possibility of an alliance between NATO and Azerbaijan. 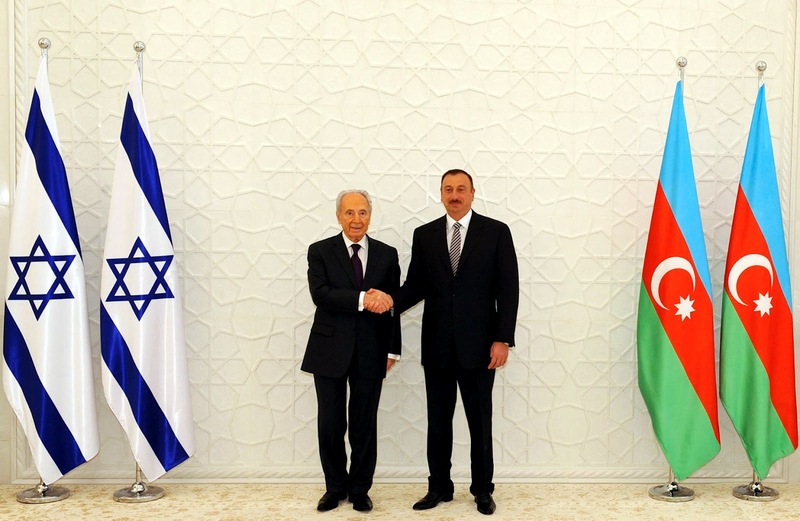 – Descending the impact of Israel over the Azerbaijan’s policies. – Trying to control Caspian Basin energy routes and using Persian Gulf energy corridor for setting up a pressure over the Gulf Countries for their energy export safety to Western Countries and South Asia. – Instigating the Turkish-Armenian hostility over from the occupied Azerbaijani territories. – Stand on opposition point against the Azerbaijan’s route through the Mediterranean via Georgia and Turkey. – Dreaded the freedom movement in South Azerbaijan that is the heart of Iran by Azerbaijani Turks. Baku’s attitudes have shaped with the non-negotiable with this article in terms of sovereign and freedom of governance. Azerbaijan’s integral policies with Turkey, which is biggest rival of Iran in the Muslim world, according to the motto of the “one nation two states” are opened the most comfortable relationships with Israel because of Turkey’s idiosyncratic location on Israel’s commercial and intelligence trade. Jewish lobbying works, also, has a crucial role on common interests of Azerbaijan and Turkey in many European countries and US. Shimon Peres’s visiting Azerbaijan in 2009, minister of foreign affairs of Republic of Azerbaijan Mr. Mammadyar’s visiting Israel in 2012 and Benyamin Netanyahu’s 1997 and 2016 visits were critical touchstones of the two states. From the year of 1994 until today, Azerbaijan has great trade about armament. It was started with the stringer missiles during the Azerbaijan-Armenia War and now Azerbaijan has reached to 5 billion trade capacity from Israel for just military goods such as Tavor rifles, radar systems, drones and brand new “Iron Dome” system. On the other hand, Azerbaijan supplies %40 of petroleum requirement of Israel and according to deal in 2012 Israel has a right to use Azerbaijan’s air bases against the possible Iran’s nuclear threat. The last words about Azerbaijan-Israel relations are must be talking upon a voluntary association which comes from obligatory conditions. Because two states have Iran and her non-state actor tie threats. Two states are trying to stabilize their public order while surrounded by regional conflicts but two states using the historical motivations more than realistic needs for their motivation on cooperation. Jewish identity and safe zones of that identity such as Azerbaijan and Turkey boost up the courage to Israel for the pro-active actions trans-Caucasian line. PhD Researcher at the Hebrew University of Jerusalem.